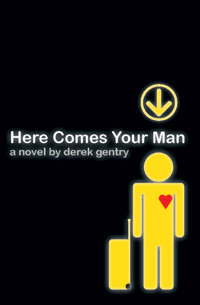 Derek Gentry: Ready or Not, Here Comes Your Man! Ready or Not, Here Comes Your Man! Am I excited? Well, my hands are shaking and I'm having some difficulty breathing...does that count? For the record, the pricing here is a little wonky—the book is supposed to list for $12—but B&N has discounted it below that anyway, so it's all good! 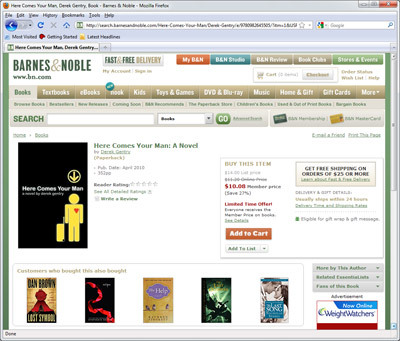 Hopefully Amazon adds the paperback to their system soon. Even if they don't, I should have the Kindle version available over there later today, for those of you who prefer your books sans papier. I'll also try to get a sample of the book up somewhere here...and then the entire Hysterical Publishing team and I are going to take a nap!